Welcome to Lake Bunyonyi Uganda, The lake of Small Birds! Lake Bunyonyi also called Place of many little birds is located in south western Uganda between two districts of Kisoro and Kabale close to the border with Rwanda. It’s Located at 1,962 m (6,437 ft) above sea level, it is about 25 km (15.5 mi) long and 7 km (1.35 mi) wide. The depth of the lake is expected to vary between 44 m (144 Ft.) and 900 m (2,952 ft), which if true would make the lake the second deepest in Africa. It is one of the few lakes in the region that is rumored to be free of bilharzia and safe for swimming. Geographically Lake Bunyonyi is a body of water seven kilometers or 4.3 miles west from Kabale Town, southwestern Uganda. It is 25 km long and 7 km (4.3 mi) wide, covering an area of 61 square kilometers (23½ sq. miles). The lake's altitude is 1,950m above sea level and it is surrounded by hills that are 2,200 to 2,478 meters high and intensely cultivated. Its 29 islands are concentrated in the central part and have few settlements but instead they are mostly used for tourist facilities and for secondary as well as a primary school study tours. The data on the lake's maximum depth varies, from 44m to 900m (144 to 2,952 ft) in parts. 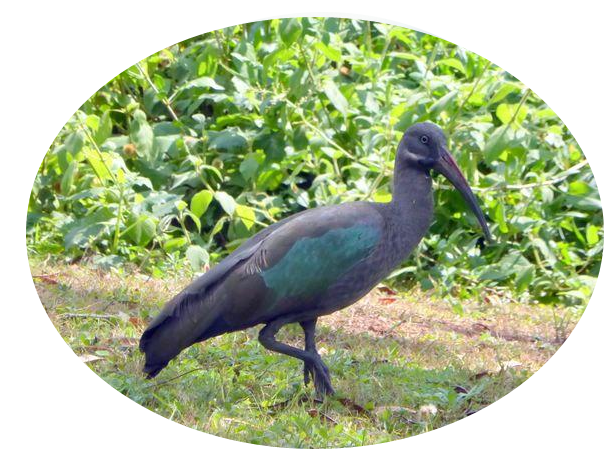 If the latter is true, Lake Bunyonyi is the second deepest lake in Africa as witnessed by Uganda safari travellers that safari in Uganda on their Uganda Birding Safaris or visit for their adventure vacation safari holiday tours in Uganda Rwanda Africa. The temperature on the surface rises to 25 degrees Celsius (77ºF). Fish was introduced to the lake in the later years and in the 1930s fishing became profitable. Unfortunately in the 1960s the fish died massively as a result of a violent shallow mixing that is anticipated to be caused by wind. Subsistence fishing prevailed in the lake, people mostly caught clarias species - the lake's depth and stratification makes it difficult for the breeding of the common Ugandan species Nile Perch and Tilapia. Nevertheless, 300,000 Nile Tilapias and Clarias fish were released in the lake at the end of 2002. Also present in the lake are Mud fish, Cray fish and Mirrowcarp - and plenty of their predators, otters. Towns on its shores include Kyevu and Muko, while its 29 islands include Punishment Island and Bushara Island. It is a popular location for watersports and is known for the surrounding terraced hillsides. It is popular with both foreign and domestic tourists and there is a wide variety of tourist accommodation. Many tourists and travelers who undertake a Gorilla trekking safari in Uganda or come to Uganda after their Rwanda Gorilla safari experience rest and relax at the beautiful Lake Bunyonyi as they enjoy the best scenery in the whole world, involve themselves into various cultural and community activities as well birding and canoe rides. The lake's main Centre is Bufuka Village which is the area's inhabited by two tribes of the Bakiga and the Batwa. 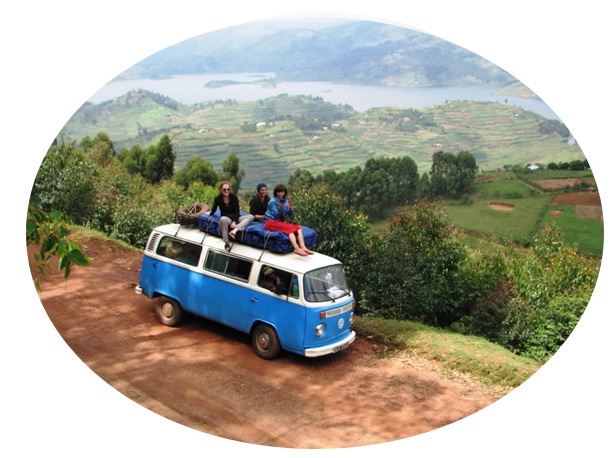 Lake Bunyonyi also called Place of five Islands and each Island has history attached to it. They include:Bushara Island, Akampene Island, Kyahugye Island, Bwama and Njuyeera (Sharp's Island) and Bucuranuka = Upside Down Island. Activities at Bunyonyi include canoeing, boat riding, and local tour, swimming, hiking the highlands around the lake, pygmy village tour and birding. 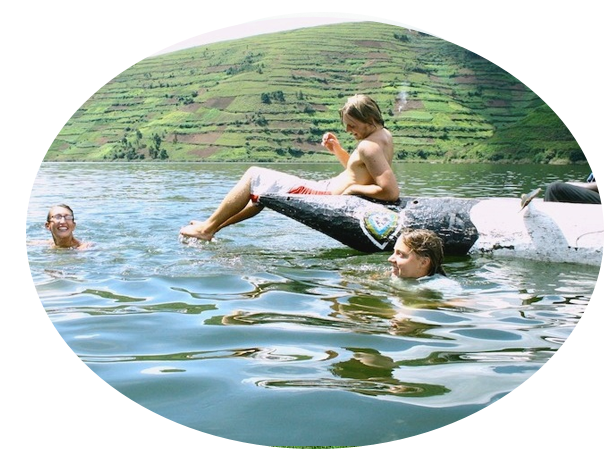 Visitors who usually take safaris to Lake Bunyonyi generally enjoy and experience a breathtaking nature of Lake Bunyonyi which is a bilharzia free swimming lake. Lake Bunyonyi is in the neighborhoods of Kabale town in South Western Uganda. 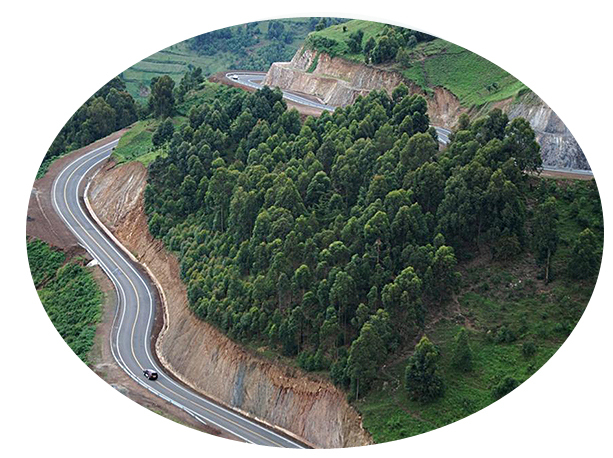 On the road, it is 6 hours from Kampala (410 km) to Kabale town and 8 km marrum road from Kabale town to Lake Bunyonyi on your way to Bwindi Forest in Kabale or Mgahinga Gorilla home Kisoro district.